Did you know World Penguin Day is approaching? This month, when each of us on the Archives and Collections team chose what we would tweet about, I chose to take on World Penguin Day. 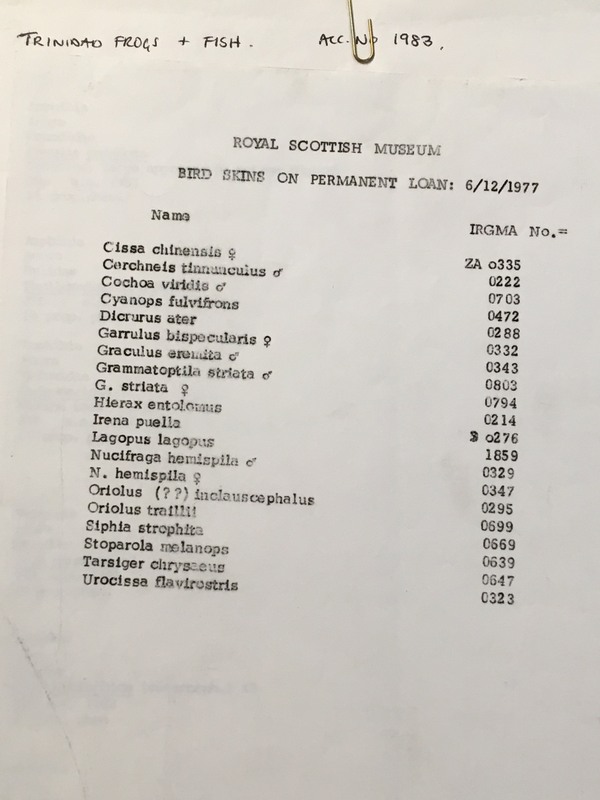 Everyone was a bit sceptical that I would find anything in the collections of a penguiny nature, myself included – but I’m game for a challenge! I set about searching for penguins. It was great to put myself in the place of the researchers who visit this room each day. I didn’t know if the material I was looking for was even in the archive, but I was prepared to look in a lot of different places and follow some pretty obscure leads in the hopes that it was. I sifted through the collections, eliminating bird after bird from my enquiries… ‘that’s not a penguin…nope, that’s not a penguin…that’s not a penguin’. As I muttered under my breath I was strongly reminded of the previous weekend when, visiting a friend, I found myself reading some marvellous literature with her child. The author of this book was having a terrible time trying to locate their tractor, but was not to be taken in by a number of red-herrings purporting to be their property. ‘That’s not my tractor’ they stated repeatedly, and continued in their quest undaunted. Lucy goes to the archive stores where we keep all the collections in carefully labelled boxes. 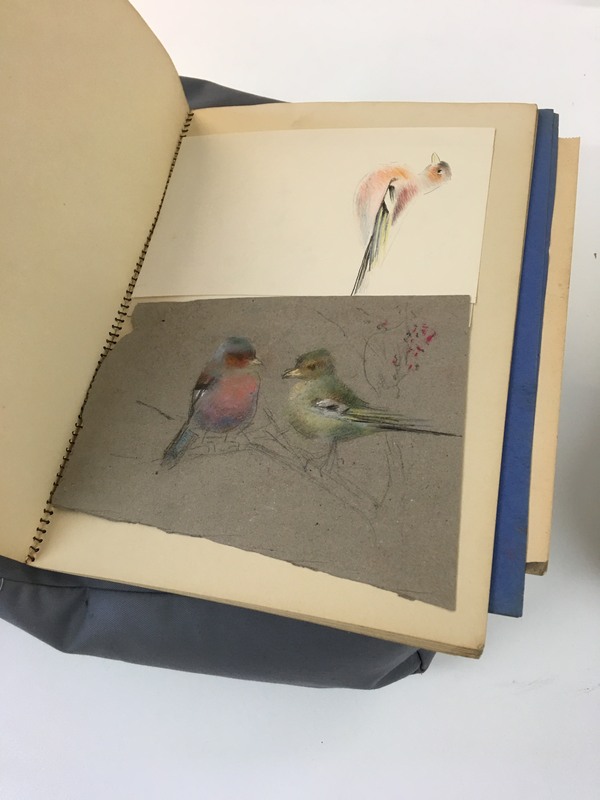 Lucy finds a sketchbook with birds in it. Penguins don’t perch in blossom trees! Lucy looks at an old list called ‘Bird Skins on Permanent Loan’. Penguins belong to the scientific family Spheniscidae! 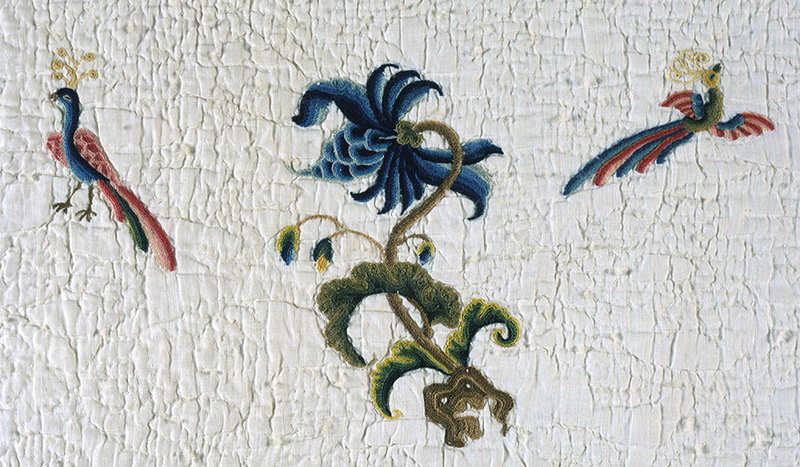 Lucy uncovers a colourful textile. 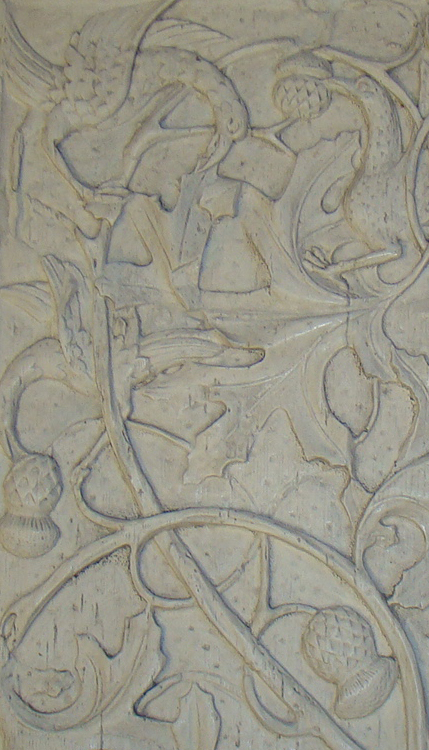 Lucy spots some birds on a plaster cast. 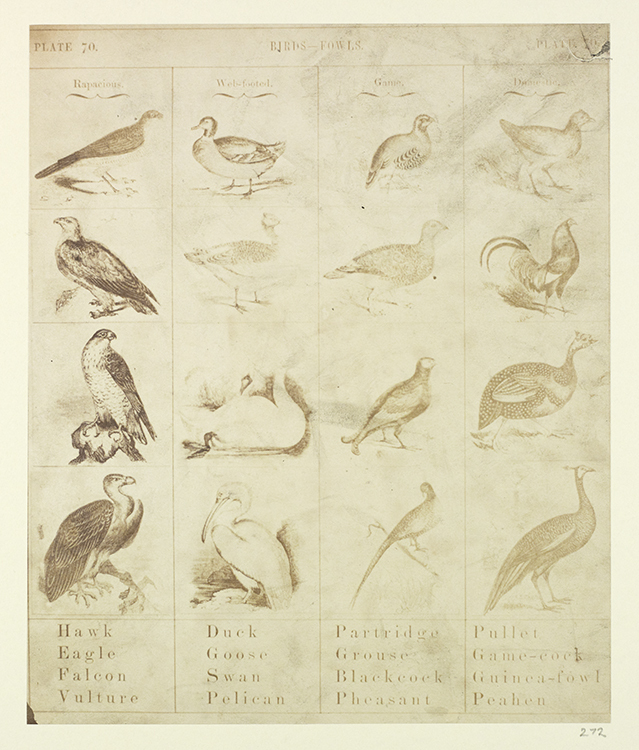 Lucy spies a chart of birds in a photograph album. Their backs aren’t straight enough! …But wait! What’s this? Lucy has remembered that there is an easier way to find penguins in the archive. Penguins show up in catalogue search results. Lucy found a penguin to tweet, and lived happily ever after.